Achieve instant, high quality results with the Sachajuan hair care collection, a range of professional hair care for every hair type. Healthy shine, bounce and volume will be easy to achieve with the Swedish hair care range, revealing the natural beauty of your hair with products that are easy to use and kind to your hair and scalp. 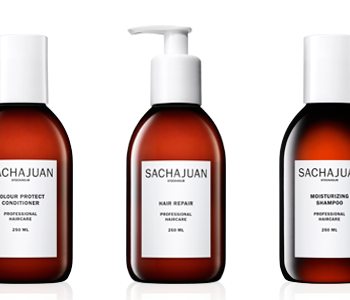 From revitalising shampoos and conditioners to overnight treatments and hair perfumes, the Sachajuan hair care range provides instant results that will completely transform the look and feel of your hair.